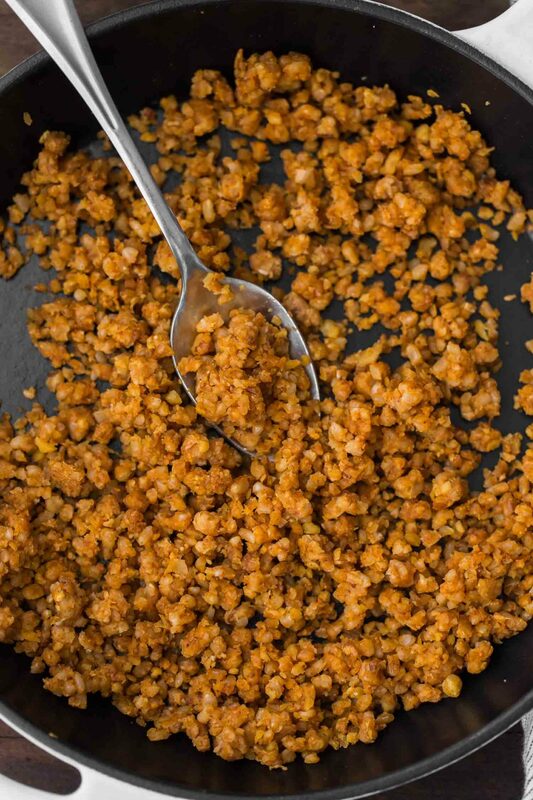 This crumble comes from one of my favorite veg burgers that uses rice and nuts. The stickiness of the short-grain rice holds everything together while the chickpeas bring the protein and pecans add the texture. I like to make a meal that uses the rice and save 1/2 cup to make this crumble. Once I make this crumble, I store it for a week and heat the mixture up as needed. It’s an easy addition to so many different meals! Read more and see the recipe. The post Pecan Chickpea Crumble | Component Cooking appeared first on Naturally Ella.